Needles, Longships Watch, Sennen Cove, West Cornwall. 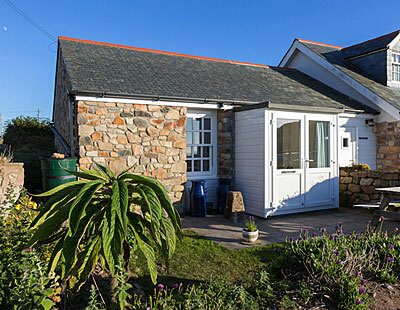 Needles is a superb one-bedroom self catering holiday cottage situated at Longships Watch, Sennen Cove, offering comfortable accommodation for two guests in one double bedroom with en-suite bathroom. It benefits from an open plan lounge, dining and fully equipped kitchen area. Outside there is a private patio area with a picnic table and, around the front of the site, extensive landscaped gardens. From the cottage there are extensive sea views over to Cape Cornwall.